Looking for a 3 weight fly rod? There has never been a better time to be in the market for a 3 weight. Rod makers are constantly improving designs and utilizing stronger and lighter materials in their rods. Below we show you the best selling 3 weight fly rods. 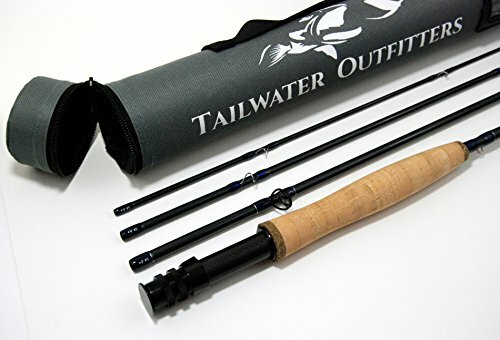 3 weight fly rods are amazing for fly fishing small streams. Spending a lot of money on an expensive 3 weight isn’t really necessary because smaller fish aren’t going to test the limits of a 3 weight. With that said, we enjoy high-end rods tremendously. They look and cast nicely. But entry level 3 weight fly rods feature many similarities to high quality rods. Good quality cork grips and reel inserts have become commonplace for entry level rods. And very often the blanks from which the rods are made are exactly the same as mid to high-end rods. When you are concentrating on fishing you are unlikely to admire the craftsmanship of high-end rods anyways. If you are looking for a good 3 weight – we recommend saving a few bucks. 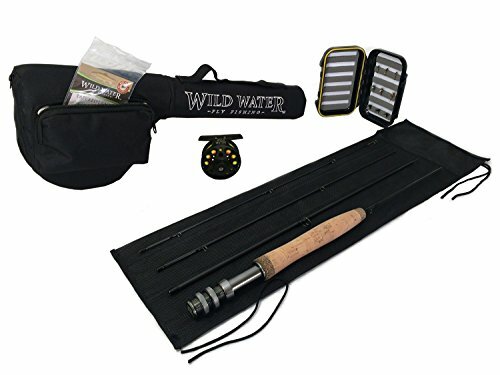 Fly Fishing Package - 7 ft, 3/4 weight, 4 pc rod, large arbor reel, preinstalled line, backing and leader, a rod sock, a rod case, a fly box, flies, and an instruction book. Includes spare leader, zinger and nipper/knot tying tool. Rod comes with Lifetime Warranty. Slow action, mid flex IM8 graphite design, aluminum reel seat, stainless steel stripper guide with SiC ring, stainless steel single foot snake guides and hook keeper. 7" western-style grip made with high quality cork and compressed cork trim rings. Diecast Aluminum Fly Fishing Reel - Large arbor design reel, pre-loaded 20 pound blaze orange backing, weight forward 3-weight floating fly line, and 7.5' 5X leader. Diecast aluminum spool, frame and reel foot, stainless steel internal components, quick release spool, and disc drag for fine tension adjustments. Half well cork handle helps casting accuracy, avoids fatigue. Four compartment rod tube included. 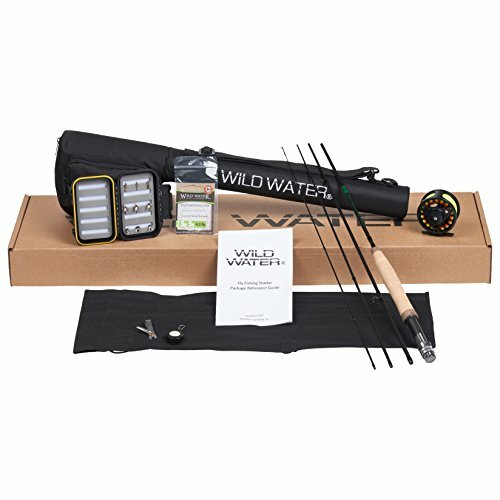 Fly Fishing Package - 5' 6", 3 weight, 4 pc rod, large arbor reel, preinstalled line, backing and leader, a rod sock, a rod case, a fly box, flies, and an instruction book. Includes spare leader, zinger and nipper/knot tying tool. Rod comes with Lifetime Warranty. Slow action, mid flex IM8 graphite design, aluminum reel seat, stainless steel stripper guide with SiC ring, stainless steel single foot snake guides and hook keeper. 6" cigar-style grip made with high quality cork and compressed cork trim rings. Diecast Aluminum Fly Fishing Reel - Large arbor design reel, pre-loaded 20 pound blaze orange backing, custom designed, weight forward 3-weight floating fly line, and 7.5' 5X leader. Diecast aluminum spool, frame and reel foot, stainless steel internal components, quick release spool, and disc drag for fine tension adjustments.